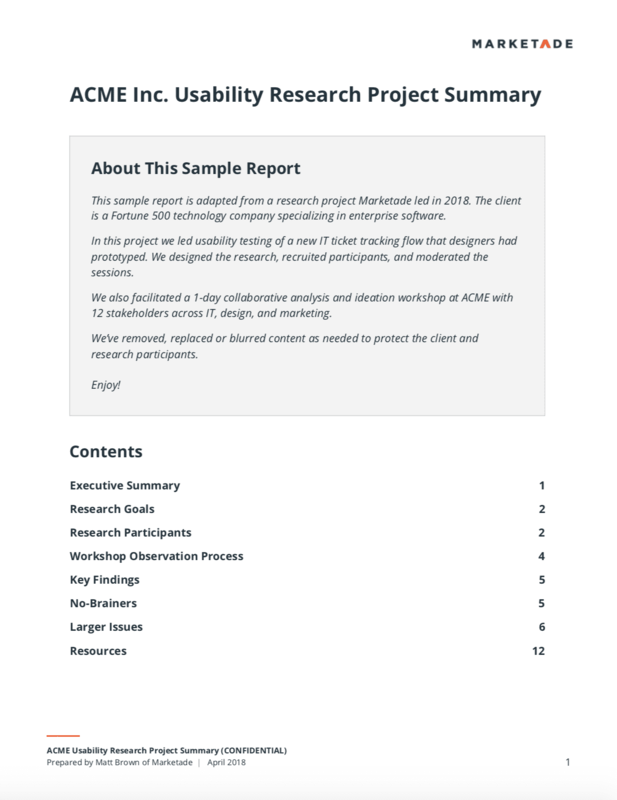 Our sample reports are adapted from real projects and programs we’ve led, across a range of methods and industries. Use them to better understand how we work or to get ideas for your own work. Don’t worry — we won’t spam you or share your email. We'll only use this to send your report(s) — no spam. We do not send sample reports to Gmail, Yahoo, etc.